March was a bit of a disappointment as far as gaming related projects went. 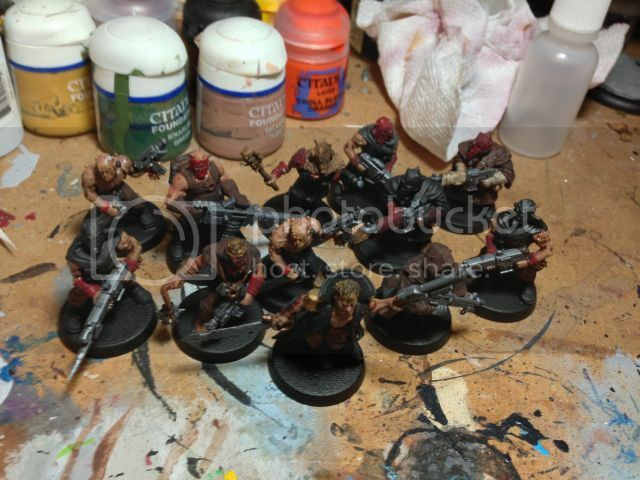 I was able to complete 10 cultists which I will post pictures of later this weekend. I fell short on my other pledges though. For April, I have a vacation, so I'm a bit more hopeful. 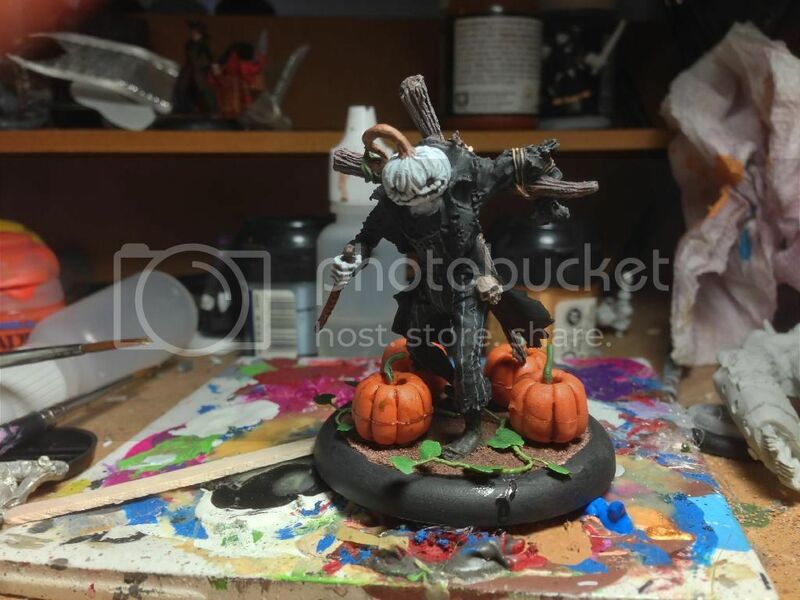 My pledges are to complete the 2 cherry tree forests that I started in march, a malifaux Carver, and malifaux Sue (I've had him almost 2 years and he is still 1/2 done.). 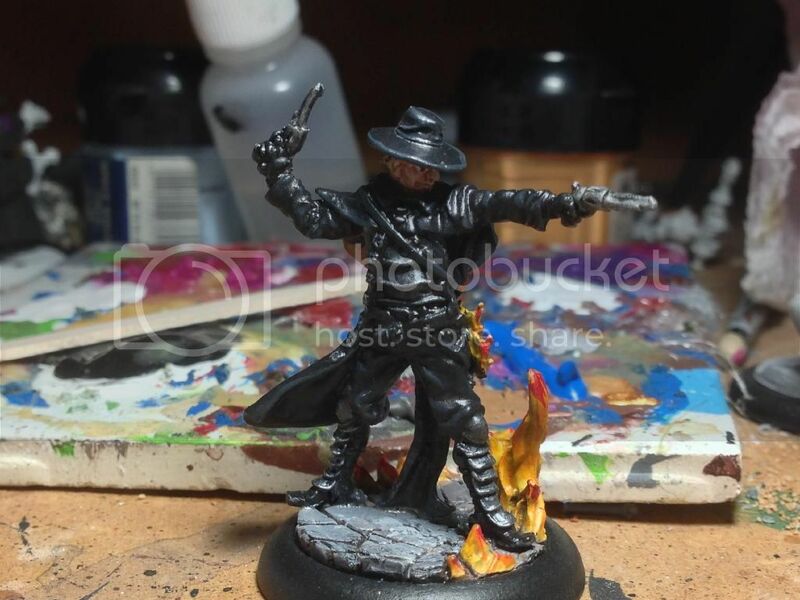 If time permits I'd like to get in the rest of the Misaki crew and 10 more cultists. 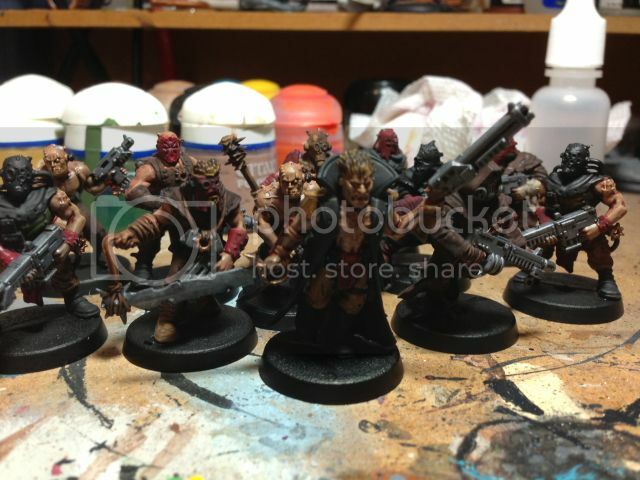 Painted up 12 cultists. Overall I tried to make them look pretty random as far as clothing with the deep red to tie them together. However now that I see them grouped, there is quite a lot of black. I think with the next bunch I will use less black to offset that. Flesh came out pretty well, and the mud wash was a bit of a help for them. When I painted up the mutants, I tried to split them pretty evenly between Khorne Red, Slaanesh Pink, Nurgle Green, and Tzeentch Blue. Maybe tossing in some of those colors may help. Sue after more than a year of putting him off. 2 bases of cherry trees. The branches need to be spread out a bit. 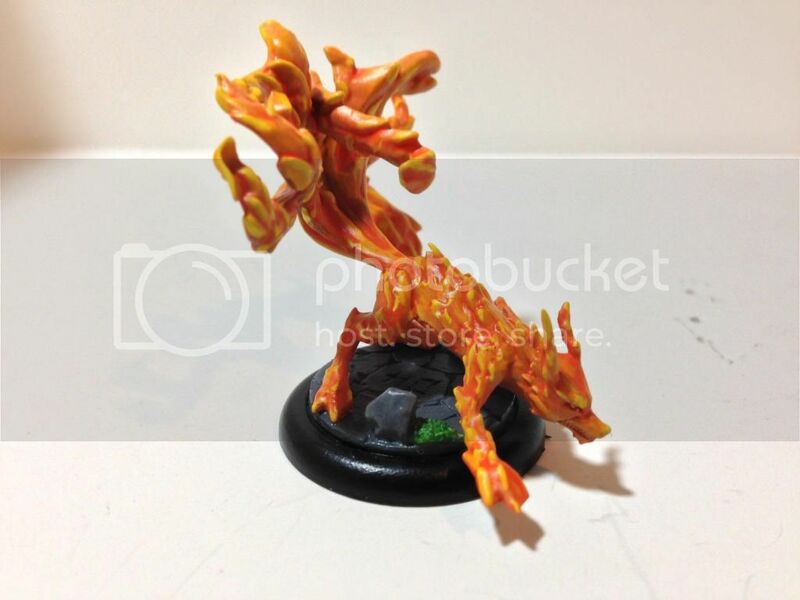 With a week to go, I am going to try and paint up Fuhatsu for Malifaux. 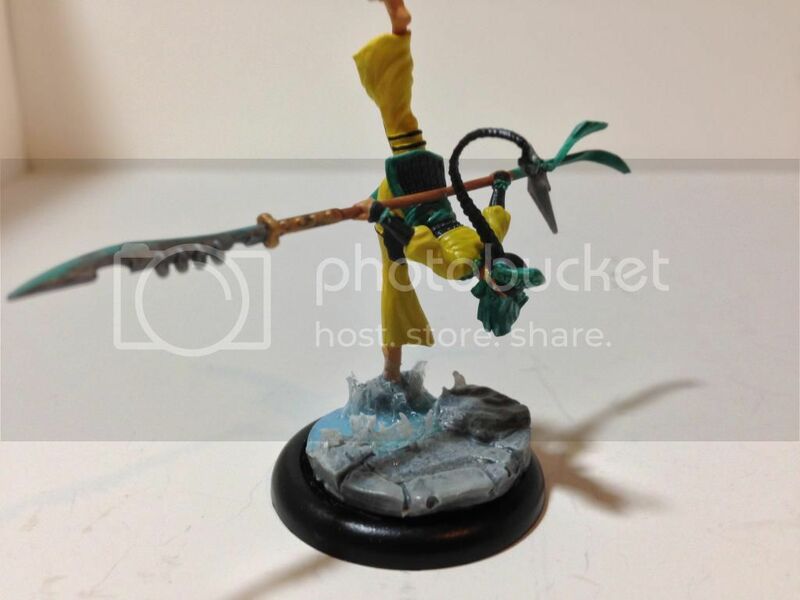 Which Warband is the Carver for? He's part of the Halloween story encounter. Finished up a torii to fit with the Japanese theme. 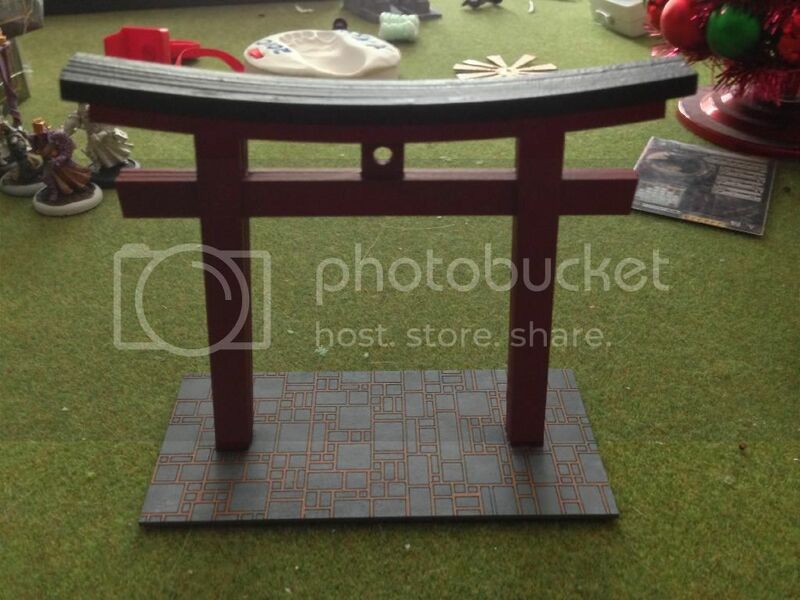 Just need to complete one more tree stand and a zen garden then my ten thunders table will be done. 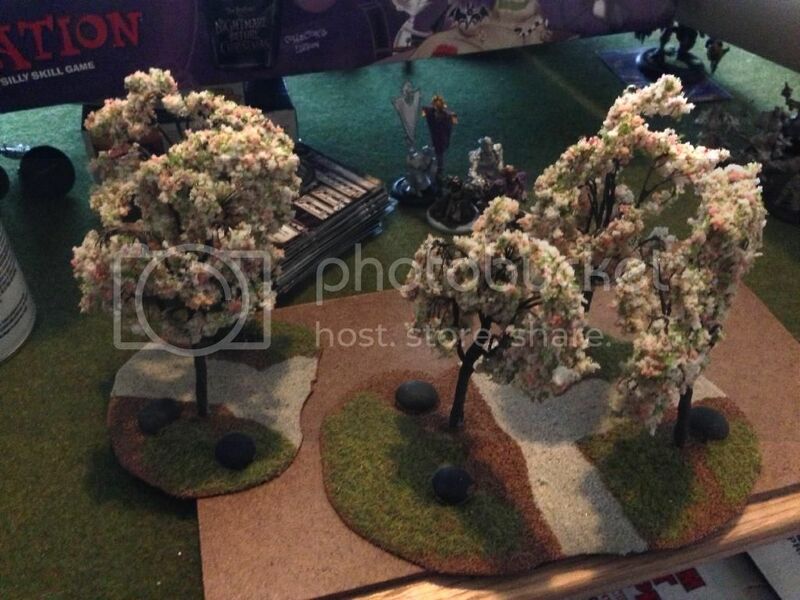 Pledge for May is: Hills for the Warhammer fantasy tournament, Cherry tree base and Zen garden for 10 thunders table, Misaki Crew, Fuhatsu and if time permits maybe some new Wood elves. High hopes for May, but hopefully I can find some extra time. Completions for the month of May. Got a bit done, but as always not as much as I hoped. 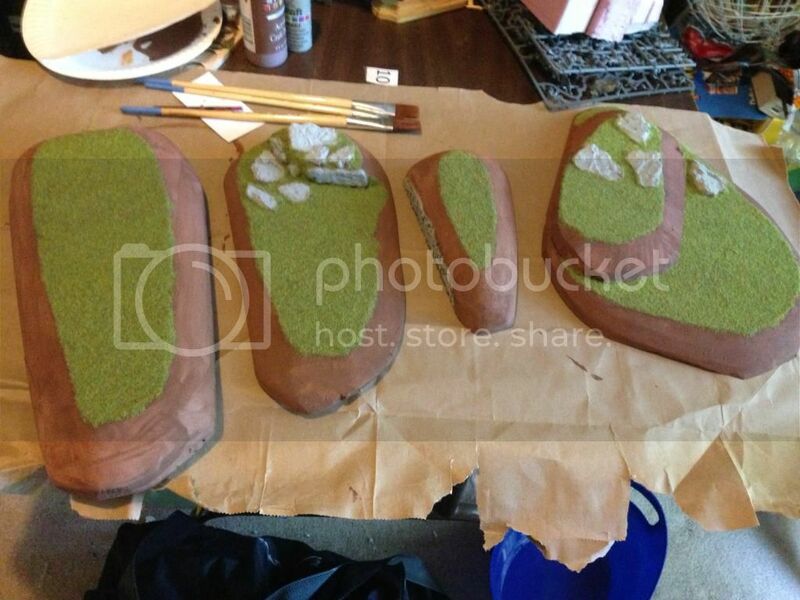 Generic hills for club terrain. 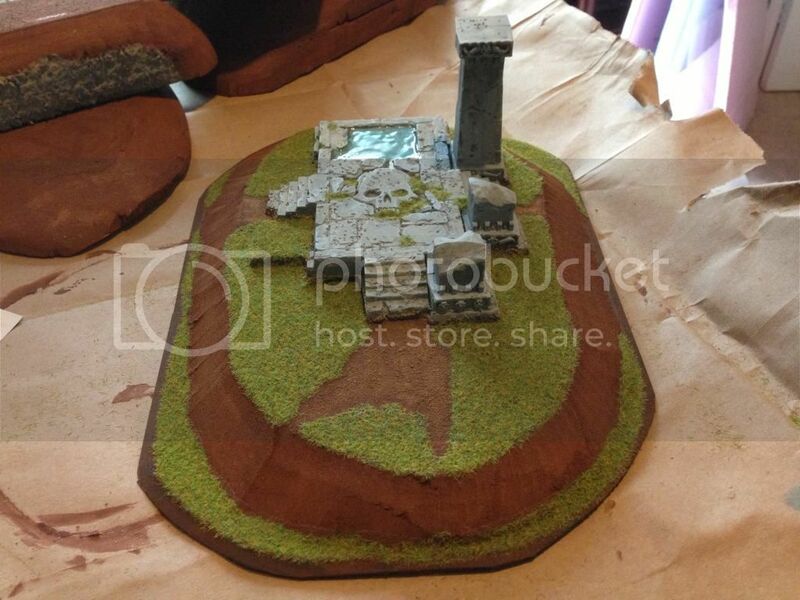 I also finished up a torakage and yamiziko, but the bases are not yet dry so pics will take a couple of days.